Often after a divorce has been completed, a settlement agreement may have terms included in it that equitably distribute the assets that may include retirement accounts, pensions, real estate and bank accounts. These assets may be left to be distributed such that that are to be equalized in value between the parties. 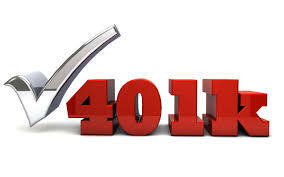 Tax Deferred accounts may include 401ks, 403bs, annuities, IRAs. After tax accounts may include bank accounts, savings accounts. Real Estate equity must determined after taking into account the parties mortgages, Home Equity Lines or other debt on their properties. Generally, an independent mortgage appraisal is completed to determine the fair market value of the property and the debt on the property is subtracted from the fair market value to determine the equity in the real estate property. A pension can be distributed in several ways. If the parties are just going to split the pension, they may do this via a QDRO, a qualified domestic relations order, which will split the pension, generally, divided in half that portion of the pension that accrued during the marital coverture period, from the date of the marriage to the date of the divorce complaint filing. 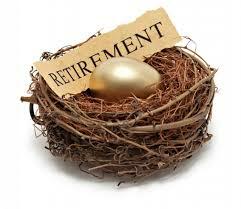 Alternatively, a pension may be given a present day value. In other words, the amount of money that a person will collect on a pension generally over the course of their lifetime, using actuarial charts as to the average lifespan they will have and the average or projected age of retirement is used to determine how much money they will collect from their pension knowing the defined benefit that they will receive on a monthly basis. That total is given a present day value, assuming an average interest rate available for the money going forward. The pension money is seen to be taxable monies and it would be taxed as income. Although, some pensions are not taxed by the state they are distributed by, e.g. New York City Teacher’s Pensions are not taxed by the State of New York if you are living in the State of New York while you are receiving the pension. So, the present day value of these monies would be a pre-tax value when determining equitable distribution of all of the assets and determining which monies are pre-tax/tax-deferred vs. monies that are after tax monies. Once the parties separate out their different assets and their category as pre-tax or after-tax vehicles, the parties then have to tax-effect these different vehicles in order to equalize them dollar for dollar. In other words, a pre-tax dollar has to be taxed in order to equalize it to a post-tax dollar. Only then can the parties equalize the value of the different types of assets. In order to determine the effective tax rate for the parties upon distribution of these assets, the parties may look towards their prior tax returns, however, generally, that will create a problem, as after divorce, when the parties are making withdrawals from their tax-deferred accounts, they will not be married and their deductions and exemptions will likely not be the same so their effective tax rate may be higher, and this has to be taken into account as well when determining the effective tax rate to tax effect the tax-deffered account balances as well as pre-tax present day valuations of pensions. Call us at Green & Associates to help you with distribution of your assets in a New Jersey divorce at 732-390-0480 or 201-242-1119 for a free consultation with our NJ divorce lawyer or NJ divorce attorney in our Fort Lee divorce or East Brunswick divorce and family law offices.